The Wildlands Network and friends met this last week in Salt Lake City to discuss TrekWest year 2. We were graciously hosted by Black Diamond Equipment. 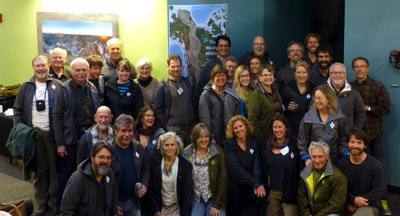 There were about 30 of us from 19 different organizations along the Western Wildway, aka the Spine of the Continent. John Davis was there to share his thoughts on his 10 month human powered journey to promote wildlife corridors. The focus was on protecting wildlife corridors. Stay tuned!